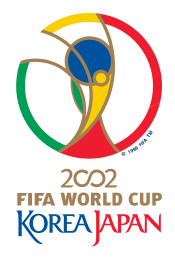 The 2002 World Cup was the first to be held in Asia, and was jointly hosted by South Korea and Japan. 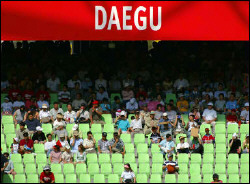 South Korea and Japan each provided 10 venues, the vast majority of them newly built for the tournament. The total attendance was 2,724,604 with an average gate of 42,571. More than 28.8 billion people watched the tournament in 213 countries. 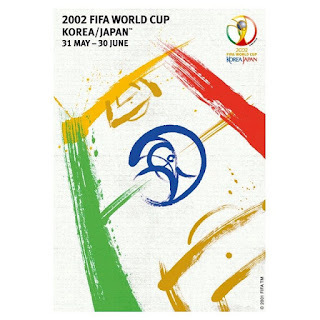 The distinctive official poster of the 2002 FIFA World Cup Korea/Japan™ represented a football pitch in the distinctive traditional calligraphic brushstrokes of eastern Asia, and was the work of two prominent artists from Korea and Japan. Due to the US influence after the Second World War , the traditional shūkyū (蹴球, kick-ball), was replaced by sakkā and both soccer and baseball were introduced the school’s curriculum. The game of soccer had been played since the late 19th century by Japanese navy cadets but it took until 1917 before the first Japanese association football club , Tokyo Shukyu-dan, was founded. By the 20s, football associations were organized and regional tournaments began in universities and high schools. 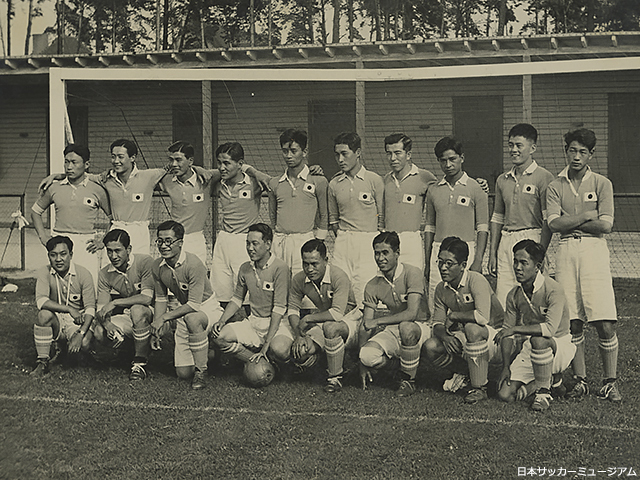 Japan national team participated in the 1936 Berlin Olympic Games, with a 3–2 win over Sweden. By the mid sixties, the National Japan Soccer League, consisted of eight amateur company clubs and the Japanese national team, won third place and a bronze medal at the 1968 Mexico Olympic Games. Japanese players remained amateur, often employed by the companies owning the clubs which meant most Japanese players had to move abroad to make a living off the game. The Japan Professional Football League (J. League) formed in 1993 and was a professional league and with higher-standards of play soon attracted many more spectators which helped the sport to hugely increase in popularity. Japan participated in 1998 FIFA World Cup, France. before co-hosting the 2002 FIFA World Cup with Republic of Korea. In Silla, during the Song Dynasty (960-1279) one of the ball games played was 'chuk-guk' (Hangul: 축국, Hanja: 蹴鞠) which was very similar in form to contemporary football. Soccer was first introduced to the South Koreans in 1882, when British naval crew played a game while their vessel, HMS Flying Fish, was visiting the Port of Jemulpo. The Paichai Academy in Seoul established the first football team in 1902 and two years later, football was introduced as part of the curriculum, at the National Seoul Foreign Language School. The first official match was between Korea Sports Club and Korea YMCA at Seoul Dongdaemun Stadium in 1905. By 1910, many football clubs and school teams had formed. Competition was fierce with great inter-city club rivalries. In 1921, the first All Korea Football Tournament (All Joseon Football Championship) was held. 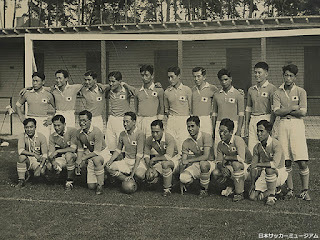 After the Korean War (1950 -1953) and the establishment of the Republic of Korea, the Korea Football Association was reinstated. The KFA became a member of FIFA, in the same year the South Korea national football team made its international debut at the Olympic Games in London. The KFA joined the Asian Football Confederation (AFC) in 1954. South Korea first appeared in the 1954 FIFA World Cup TM and have regularly qualified from 1986 to 1998. FIFA hosted Poetry of the Winds, a flag festival to promote harmony and a festive atmosphere and hand-painted flags from global artists were displayed as a greeting to international guests. 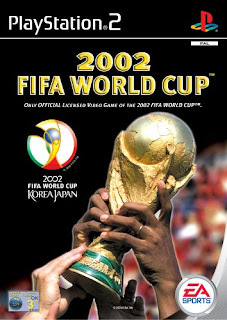 The Korea/Japan opening ceremony of the 2002 FIFA World Cup TM was held in the Seoul World Cup Stadium. The official anthem was recorded by Anastasia , entitled ‘Boom,- but it was a local band Voice of Korea/Japan (Lena Park and Brown Eyes (band) for South Korea and Sowelu and Chemistry for Japan), that captured popular attention with Let's Get Together Now. 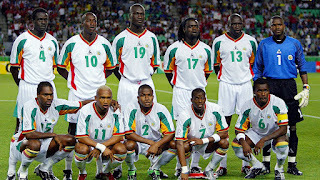 A total of 199 teams attempted to qualify for the 2002 FIFA World Cup TM Defending champions, France and co-hosts South Korea and Japan qualified automatically and were joined by 13 European teams (Belgium, Croatia, Denmark, England, Germany, Italy, Poland, Portugal, Republic of Ireland, Russia, Slovenia, Spain, and Turkey ) , five Afican teams (Cameroon, Nigeria, Senegal, South Africa, Tunisia), five from South America (Argentina, Brazil, Ecuador, Paraguay, Uruguay) and two from Asia (China PR, Saudi Arabia) , and three from North and Central America and Caribbean (Costa Rica, Mexico, USA). Four nations qualified for the finals for the first time: China, Ecuador, Senegal, and Slovenia. All seven previous World Cup-winning nations (Argentina, Brazil, England, France, Germany, Italy and Uruguay) were represented. A new change allowed 23 players per squad, of which, 3 had to be goalkeepers. In the opening match at the Soel International Stadium in front of 62561 spectators , Senegal stunned the world by beating the title holders France , 1- nil. South Korea and Japan each provided 10 venues, and Groups A-D played all their matches in South Korea, and Groups E-H played all their matches in Japan. The stadiums in Daegu (Daegu World Cup Stadium), Suwon (Suwon World Cup StadiumSuwon) , Yokohama (International Stadium Yokohama) and Urawa (Saitama Stadium 2002) all hosted 4 matches each, while the other 16 stadiums hosted 3 matches each. Despite the original ticket allocation being reported as sold out, it was obvious from the opening matches the stadia were far from full. It was later reported thousands of local government officials and school children were called up in an emergency plan to prevent television pictures of empty seats being broadcast around the world. 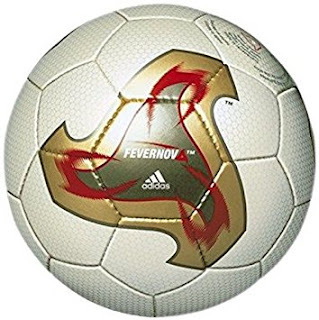 The official match ball of the tournament was the adidas Fevernova which had a triangle-like shape on four hexagons. Based on Asian culture (the dark gold trigon resembles a tomoe and the red streaks on its angles resemble calligraphy brush strokes) it featured a refined syntactic foam layer, to give the ball superior performance characteristics. This was conmbined with a three-layer knitted chassis, allowing for a more precise and predictable flight path, according the the manufacturer. The ball was criticised for being too light mad a nightmare for goal keepers to predict, despite some spectacular goals . One hundred and sixty one (161) goals were scored during the tournament with an average of 2.5 goals per game. 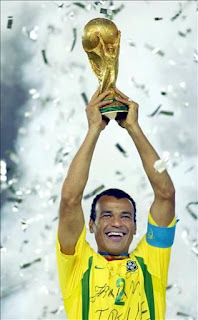 Ronaldo (Brazil) was awarded the Golden boot for netting 8 goals during the competition. Television coverage reached 213 countries, virtually every country in the world, with over 41,100 hours of dedicated programming. This was a 38% increase in coverage from 1998, setting a new record for a single sporting event. The cumulative audience reached a total of 28.8 billion viewers, making make the 2002 FIFA World Cup Korea/Japan™ the most extensively covered and viewed event in television history up until that time. Big-screen viewing became a major feature with over 4.2 million Koreans watching their national team's victory over Italy in the streets. Women’s interest in the tournament grew over the competition, with an audience split, at 51% men, 49% women. The Tournament’s mascot is a comic the event was fun for everyone. In 2002 Korea/Japan it was Spheriks (energy) . Mascots contribute not only to the promotion of the event and entertain the crowd in the stadium, but became worldwide celebrities through their extensive use by the Official Partners of the FIFA World Cup™ for licensing and merchandising programs. The 2002 FIFA World Cup™ introduced a new type of Mascot event using computer-generated animation. 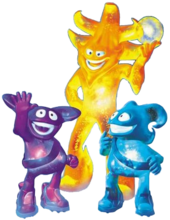 The 2002 Mascots lived high in the sky in a place called Atmozone, where they played their own version of football, Atmoball. 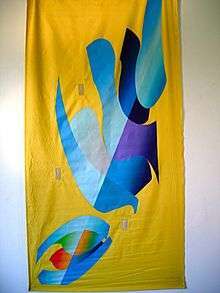 The most popular and revered of all those creatures is "Ato", who represents the coach of the team. The key team-members are "Nik" (the blue player) and "Kaz " (purple). During the FIFA World Cup™, the three characters appeared around the stadium to entertain the fans. There was also an animated TV series which ran for 26 episodes. It featured Spherikball, played between the fair playing, Athmosperiks (including Ato, Nik and Kaz) and the cheating, miserable, Nulmospheriks. The series generated enormous interest among broadcasters. The Official Mascot series was produced by two London-based computer graphic animation companies, Slave Studios and Passion Entertainment, who worked together with Furry Creatures, a Romanian animation studio dedicated to producing the top-class gameplay scenes. The now established video game market was eager for the release of the FIFA Football 2002 video game that now had customised power bars for passes, and with dribbling reduced players were able to achieve higher challenge levels. New teams and competitions were coupled with Panini reward cards which unlocked star players, after winning particular competitions. 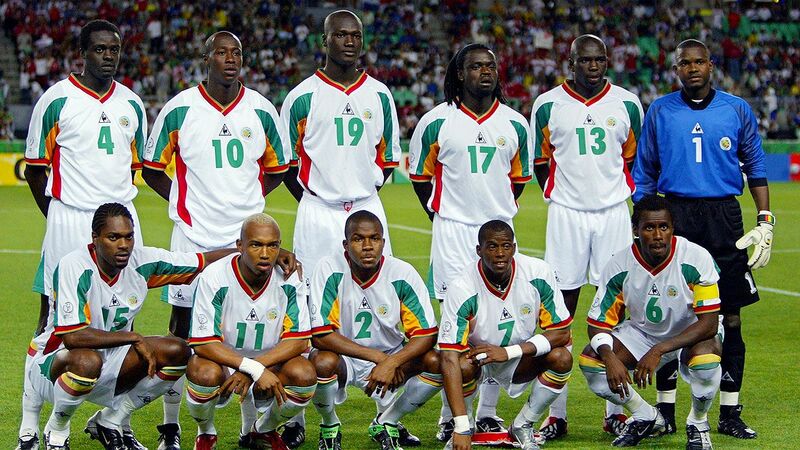 There was also a bonus game with the nations that automatically had qualified for the 2002 World Cup Japan and South Korea. 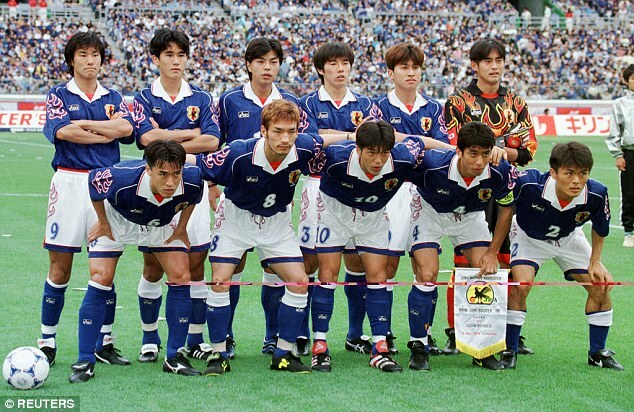 FIFA Football 2002 was the final game in the main series to feature the Japanese national team. Groups A, B, C, D were based in South Korea and Groups E, F, G, H were based in Japan. The rules governing ranking had changed from head-to-head results over total goal difference. In Group A, Denmark and Senegal, went through. Spained gained maximum points, in Group B and were joined by Paraguay in the second round. Brazil too, won all their matches and topped Group C and Turkey also advanced to the next round. Group D, co-host South Korea, and United States progressed. In Japan, Germany tooped Group E with seven points, and Ireland followed along with five points. In the ‘group ofdDeath’, Group F, Sweden and England advanced first and second respectively with five points each’. Croatia and Ecuador were eliminated from Group G, and Mexico and Italy went into the next round. Finally, in Group H, Japan progressed with seven points, while Belgium advanced with five points. For the knock out stages , quarter-finals, and semi-finals, the qualifiers from Groups A, C, F, and H played their games in Japan while the qualifiers from Groups B, D, E, and G played their games in South Korea. Daegu, South Korea, hosted the third-place match while Yokohama, Japan, hosted the final. 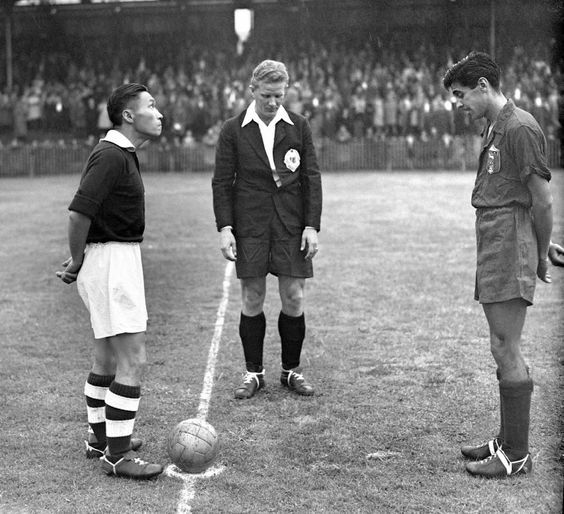 In the quarter-finals, England met Brazil and lost won 2–1. Germany knocked out United States, 1–0 . South Korea beat Spain 5–3 on penalties after a 0–0 draw. Turkey defeated Senegal 1–0 in Osaka, with a golden goal scored by İlhan Mansız in the 93rd minute. The tournament was criticized for many poor and questionable refereeing decisions. South Korea in particular faced scrutiny and allegations of corruption due to the favorable decisions they received in their controversial victories over Italy in the Round of 16 and over Spain in the Quarterfinals. In the semi finals, Germany beat South Korea, 1 – 0, in Seoul; and Brazil did the same to Turkey with a single goal from Ronaldo. The final was played in Yokohama, Japan, and Ronaldo secured the World Cup for Brazil as they claimed victory over Germany with two goals. Brazil became the first team to win every match at a World Cup Finals since 1970, and set a new record for highest aggregate goal difference (+14) for a World Cup winner.